DESCRIPTION: The Dody McCleland series feature Britain’s first (fictitious) female autopsy surgeon, Doctor Dody McCleland, and Scotland Yard detective, Chief Inspector Matthew Pike. The books are set in Edwardian London during a tumultuous time of technological and social change. Dody McCleland’s background is that of Felicity’s paternal grandmother, at the time one of only a handful of female graduates of Trinity College, Dublin. BACKGROUND OF BOOK/WRITING: I’m a British/Australian author published by HarperCollins in Australia and Penguin in the US. My Edwardian series features Dody McCleland, Britain’s first female autopsy surgeon. The two books in the series so far are The Anatomy of Death 2012 (US title) and Antidote to Murder, published this year. I used to write contemporary crime fiction, (because that is what my Australian publisher wanted) though history has always been my greatest passion, especially the Edwardian period, which I studied at university. To have attained her position in such a male dominated society, my first female autopsy surgeon had to have had a different upbringing to your conventional Edwardian lady. Lucky for me, when I was putting together the first book, I came across a box of my grandmother’s memoirs. In this I discovered that my grandmother came from a wealthy family of radicals, campaigners for the poor and patrons of the arts – Fabians. I could not have found a better family for my autopsy surgeon and her suffragette sister than this and furthermore, the facts needed very little artistic embellishment! Socially, medically, politically and technologically speaking this period stands on the cusp of our own time. It might not be within our living memory, but it was in the memory of many who we once knew, and I think this is why the Edwardian period holds such a special place in my heart. 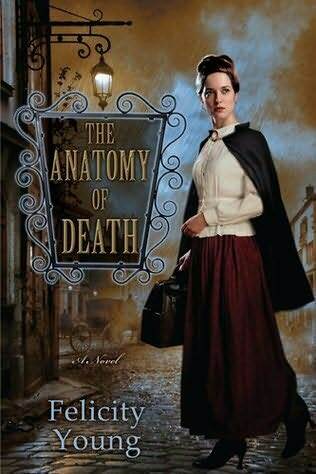 I have read the first book in this series, The Anatomy of Death, and enjoyed it very much. 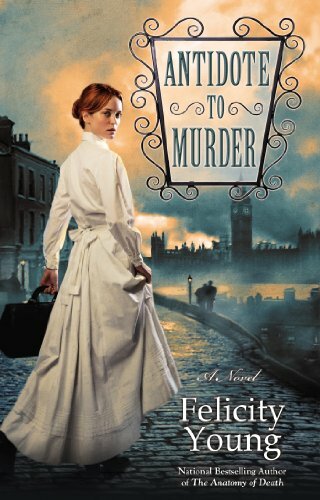 I gave it a 4+ out of 5 in my rating system, and can highly recommend it, especially to those who enjoy historical mysteries, as I assume most Edwardian Promenade readers would. Hi, Evangeline – I’ve only just come across this – thanks so much for spreading the word about my books! Cheers, Felicity.